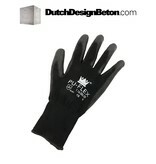 The PU-FLEX Protective glove is top quality and is magnificent for construction use. 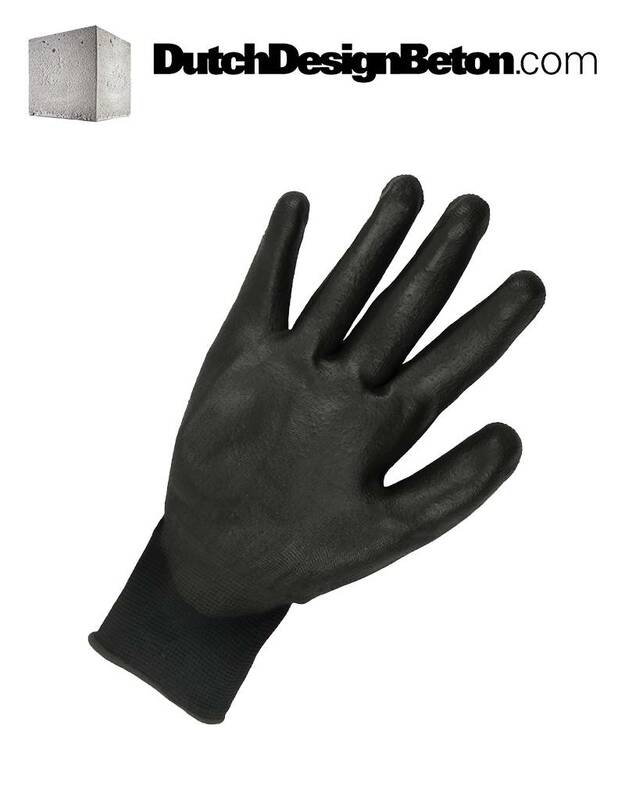 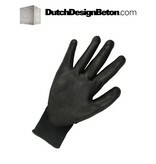 It is a black glove which is ideal to use in environments which hold a certain degree of contamination. 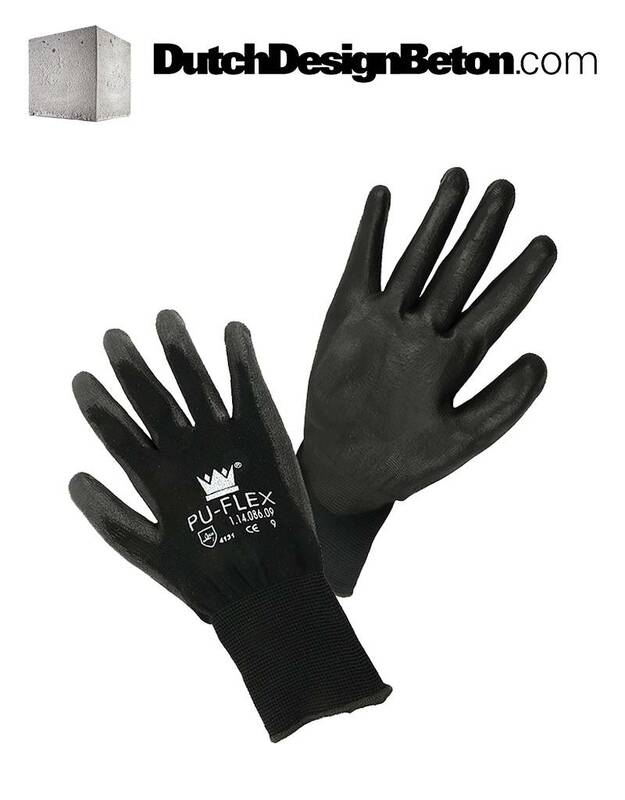 Concrete spills are very visible and by using these gloves they will prevent from causing products to become filthy. 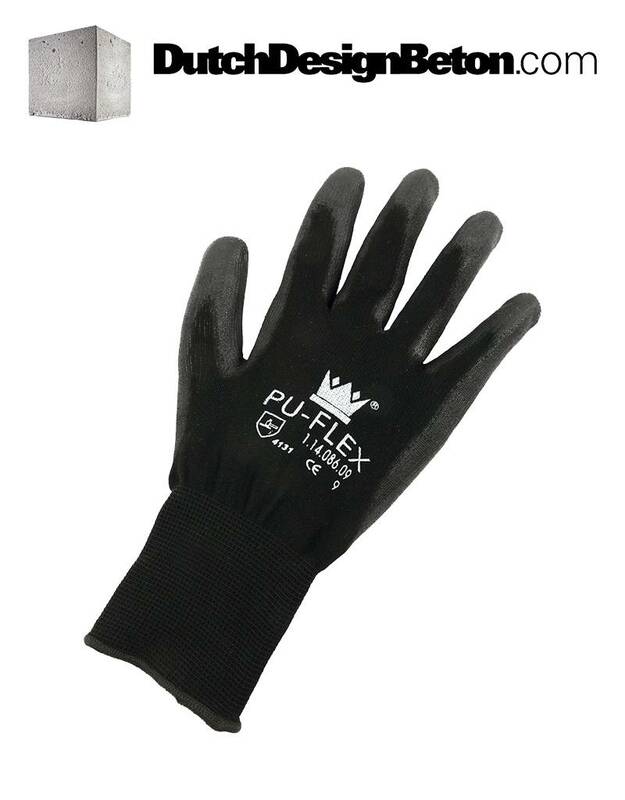 Caulking Tool Set (4 pcs) to create finished edges. 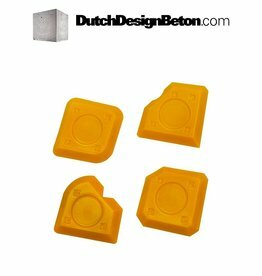 Dutch Design Concrete Silicone Caulk to seal seams of a mold.